It's the perfect time to complete your shopping list and your wishlist too! Why don't you: Shop at Accessorize! Take advantage of their Buy 1 Get 1 promo--from December 16 to 18 only! 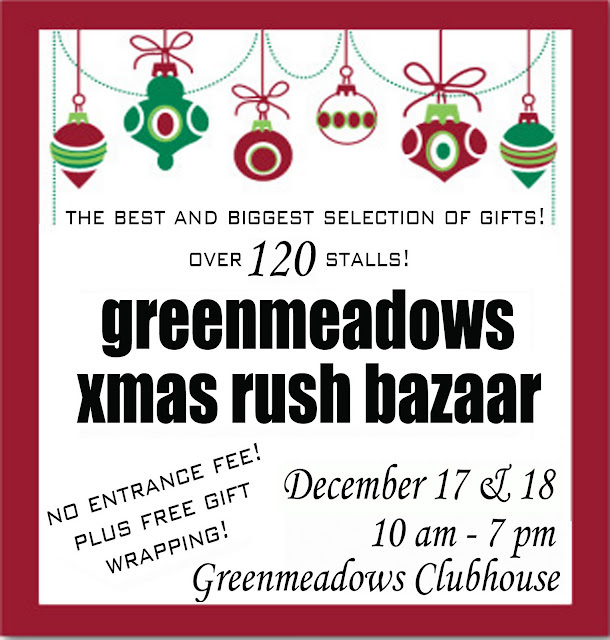 Meanwhile, bazaar alert for north peeps! Bare Minerals is giving away mineral make up gift packs to you and 3 of your friends, worth P2000 each! 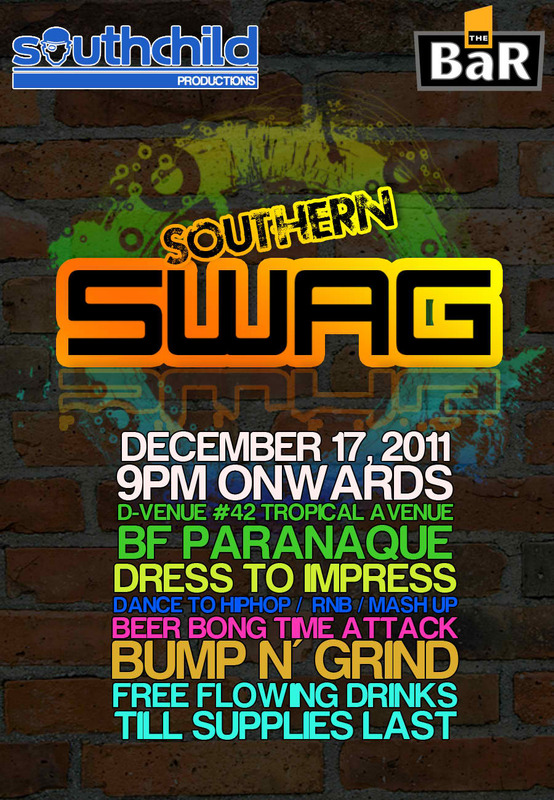 Just RSVP via email before Dec. 17 by sending your full name and mobile number to claudbaron@yahoo.com. First 50 to RSVP may claim a gift pack at the Organizers booth on December 17-18. Great news for all GCASH subscribers! 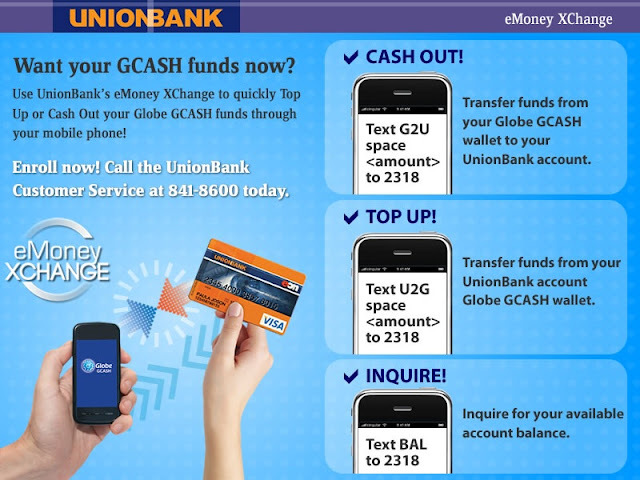 UnionBank and G-Cash launch eMoney XChange, a service that connects UnionBank account holders to their GCASH mobile wallets! “With eMoney XChange, we are helping our customers manage their money better by providing them smarter banking solutions. In addition, we are opening up more possibilities for our customers to further engage in online opportunities like online business, shopping and sending remittance… This partnership with GCASH will also cultivate new customer relationships and strengthen existing connections.” said Ramon G. Duarte, SVP of Retail Product Development for UnionBank. 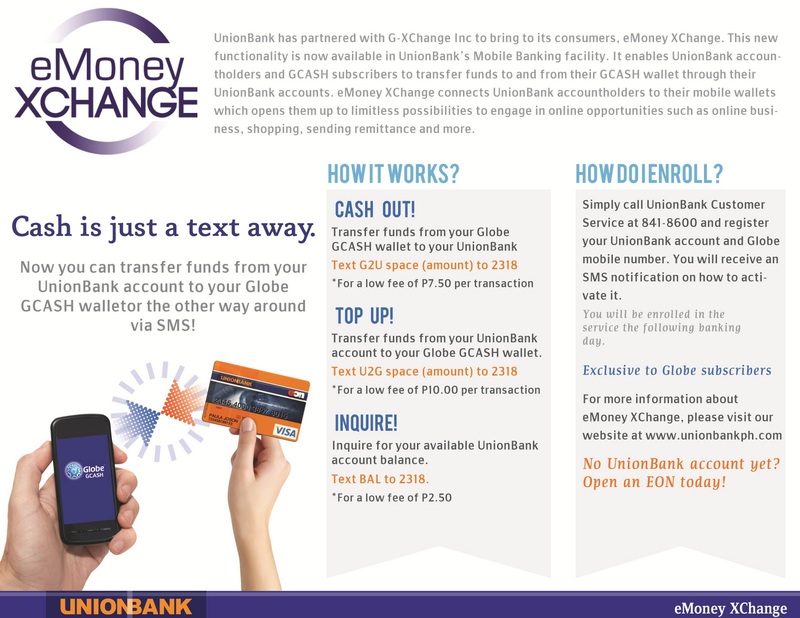 To avail of the eMoney Xchange service, customers simply have to call the UnionBank Customer Service at 84-186 to register their Globe mobile number and nominated UnionBank account.